We have fallen head over heels in love with this Hungry Caterpillar! 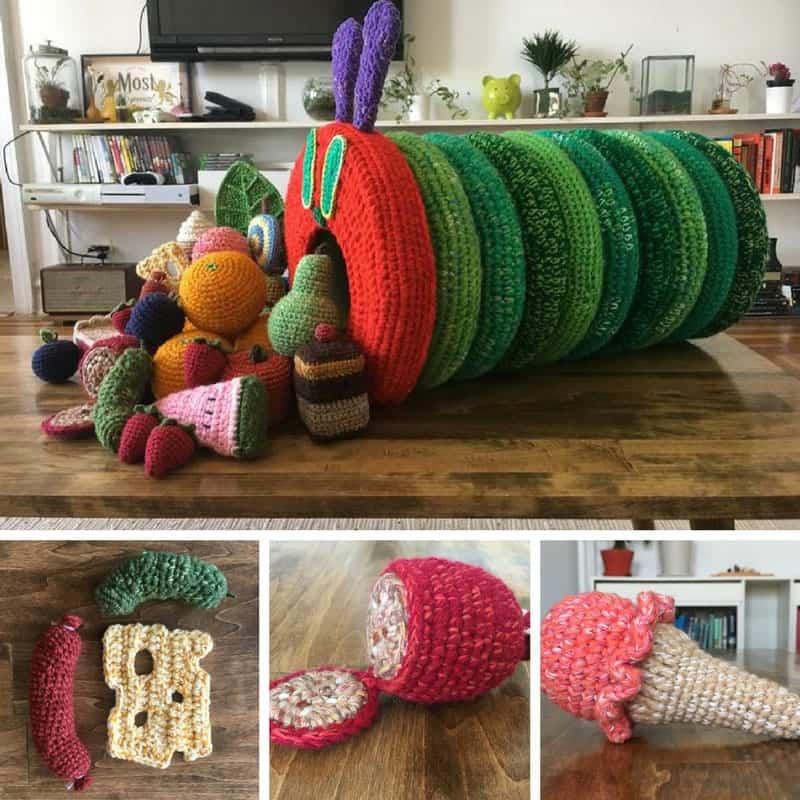 His creator has totally brought to life the brightly coloured caterpillar and all of the food from the Eric Carle classic book. And its huge! 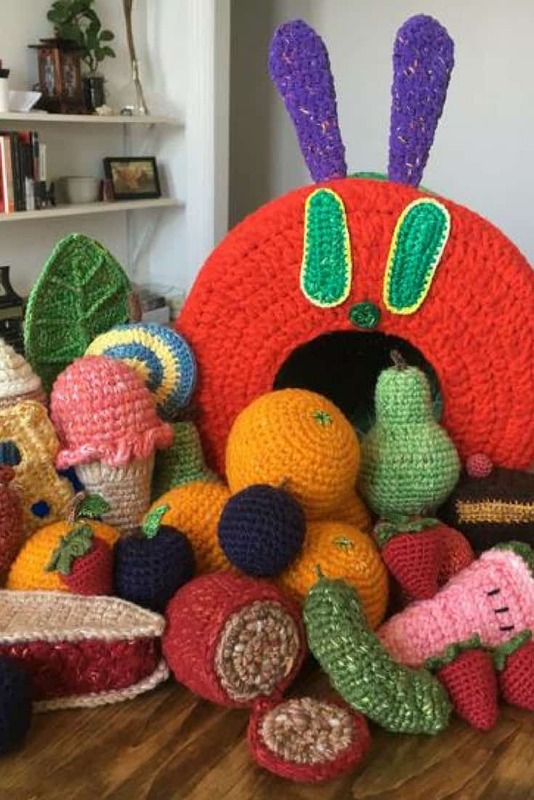 This would be an absolutely fabulous gift for a child who adores the Hungry Caterpillar story. He’d become a favourite friend in no time, and perhaps even a family heirloom! 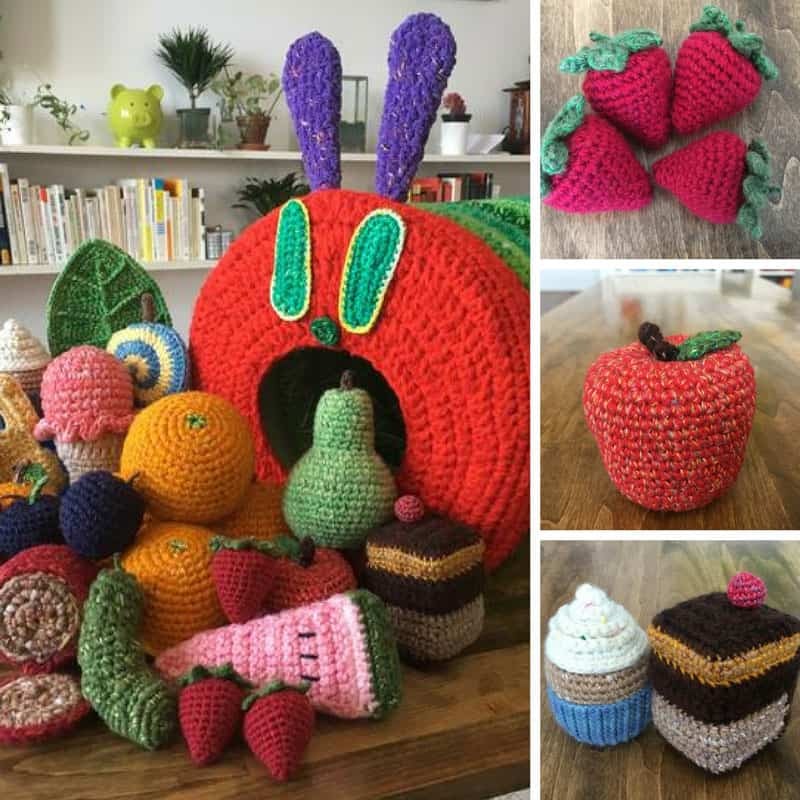 You might just know a preschool teacher or a speech therapist who would love him too because posting the food into the caterpillar’s mouth is a really good way for little children to demonstrate their listening skills and practice following instructions. Just look at all of that fabulous fruit! We can’t decide which we love the most. And there are detailed instructions on how to make each and every morsel. Are you getting hungry just looking at all that food, because we are! And the caterpillar himself is made with nine 10 inch foam floral wreaths (like these) to give him that distinct shape and keep him nice and robust. And of course that means he has a hollow tummy so he can munch on ALL of that yummy food! You’ll also need a variety of hook sizes, yarn and embroidery thread. Everything you need is detailed in the tutorial including lots more pictures! Next PostNext 28 Minion Crafts Your Little Henchmen Will Go Crazy For!